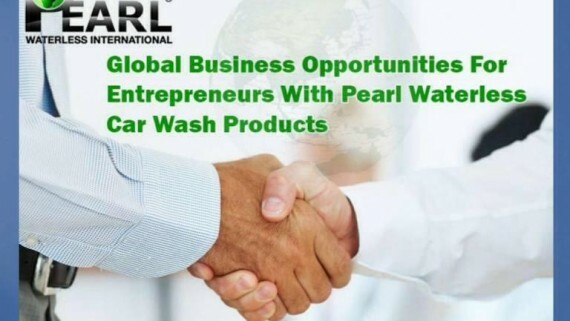 Pearl® Global Ltd manufacturing plant is located in Manchester, United Kingdom from where we produce and supply the very latest innovative and environmentally friendly waterless car wash products that deliver the ultimate showroom finish. 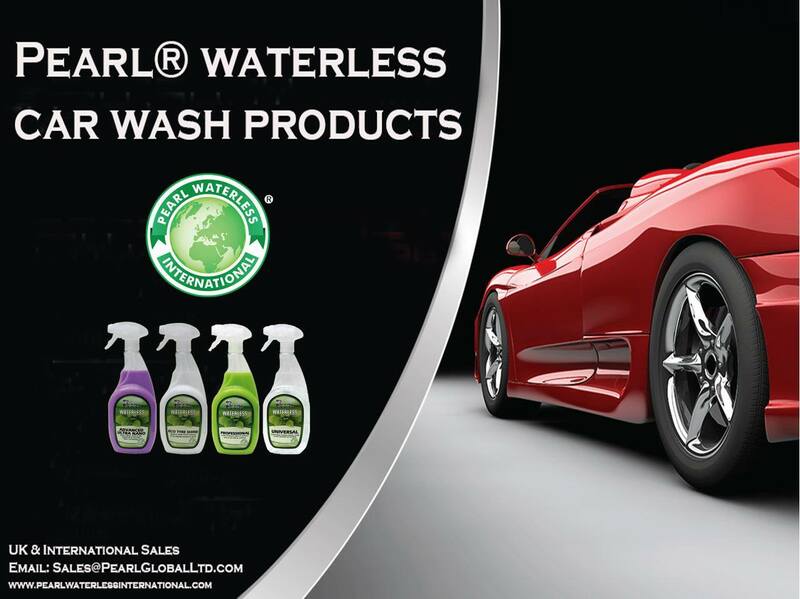 All our products have been commercially tested and present outstanding global opportunities for clients to use and distribute the leading professional waterless wash and detailing system to the auto, marine, aviation and home industries; saving time, money and effort, producing an unrivalled finish in hot and cold, dry and wet conditions, with no run off pollution into waterways, saving precious water and energy. 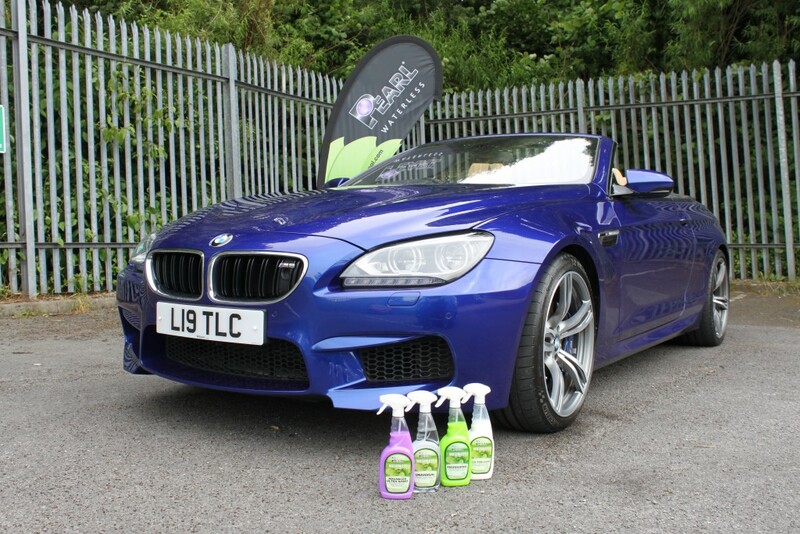 Our sustainable and high-performance products are supplied nationally and internationally to market leading commercial organisations, independent valeting companies and prestigious dealerships for their professional valeting operations and after market sales. 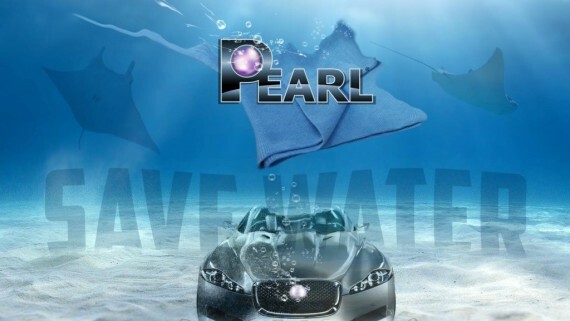 The Pearl® Professional Waterless and Eco-friendly detailing range with cutting edge technology enables the user to very quickly and efficiently clean, highly polish and wax protect a whole vehicle interior and exterior to an instant showroom finish any time, any place and anywhere. 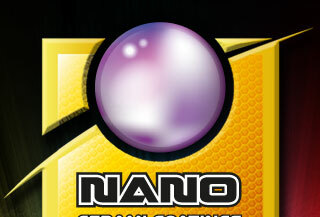 Water based product containing latest Nano technology and Carnauba wax, the world’s hardest natural protective wax. Cleans, polishes and premium wax protects all exterior hard surfaces with average usage of 100 – 160ml per vehicle. 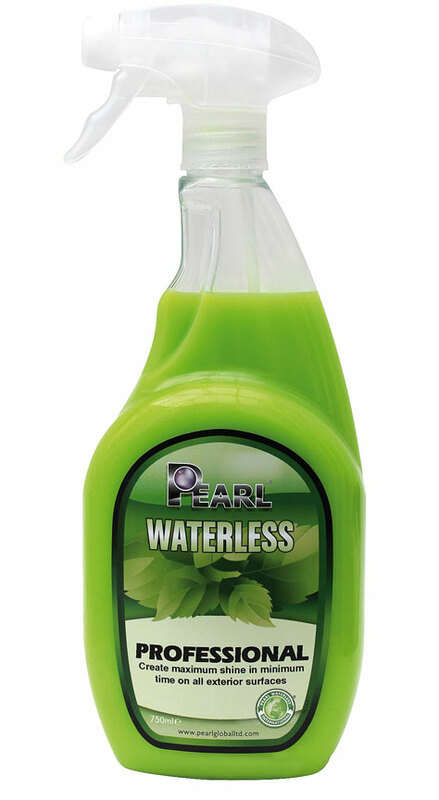 Free from all abrasives, phosphates, bleach, solvent, petroleum, acids and any other hazardous ingredients. Removes light oxidation, light water spots, traffic film and delivers a mirror-gloss finish, repelling water and helps prevent dirt build. Perfect for new and older vehicles – use as a premium maintenance/cleaning product ideal for re-cleans, sold units and showroom vehicles. The ultimate exterior cleaning & detailing solution: clean, refresh, shine, wax & UV protect in one. 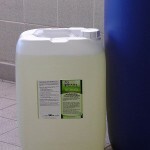 Available in 1:9 super concentrate in 25L, 205L, 1000L containers (1 x 25L makes 250L of ready to use product). Water based product contains highest grade polymers, wetting agents and lubricants. Cleans, details and highly polishes all exterior hard surfaces in one with average usage of 100 – 160ml per vehicle. 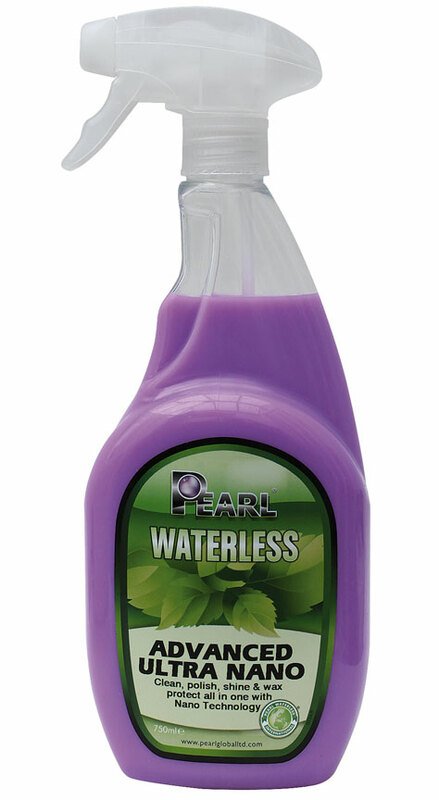 Free from all abrasives, phosphates, bleach, solvents, petroleum, acids and any other hazardous ingredients. Removes light oxidation, light water spots, road dust and traffic film delivering a beautiful deep shine finish. Perfect for new and older vehicles – use as a maintenance/cleaning product ideal for re-cleans, service wash and showroom vehicles. 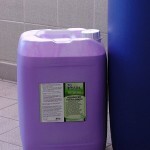 Simply spray, wipe and buff creating maximum shine in minimum time. 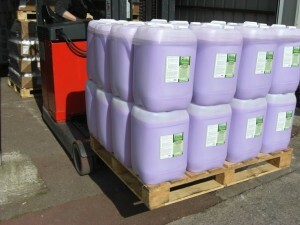 Available in 1:9 super concentrate 25L, 205L, 1000L containers (1 x 25L makes 250L of ready to use product). 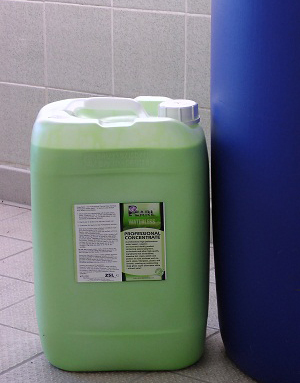 Water based, fully biodegradable multi-surface cleaning solution that contains only the highest quality ingredients which help to recondition and revitalise surfaces. 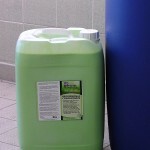 Universal is extremely tough on ingrained substances but gentle on surfaces, user and the environment. 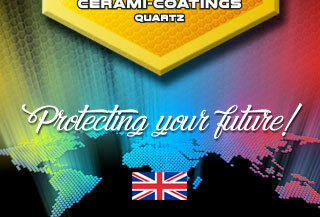 Free from all abrasives, bleach, solvent, petroleum, acids and any other hazardous ingredients. 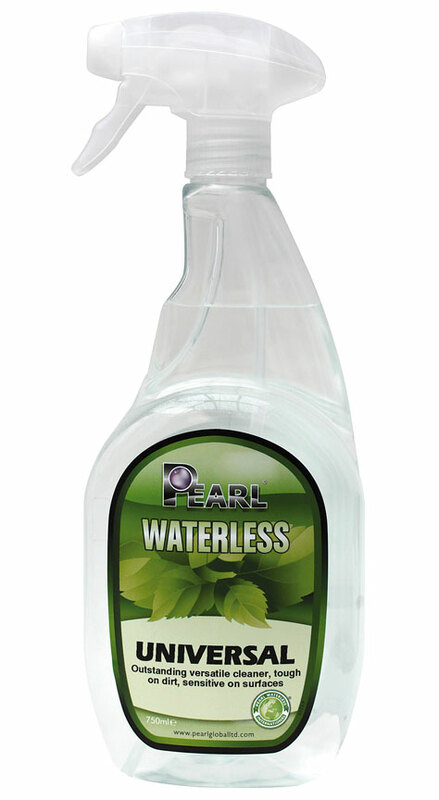 Extremely versatile multi-purpose cleaning product that has robust capabilities for all interior soft and hard surfaces including plastic, leather, carpet, and fabric upholstery. Exterior localised cleaner effortlessly dealing with the heavier duty requirements; such as removing brake dust, bird lime, tree sap, ingrained insects from paint, alloys and glass together with engine degreasing. 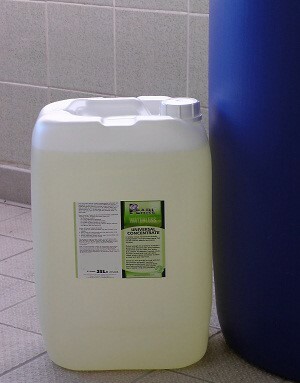 Available in 1:20 super concentrate 25L, 205L, 1000L containers (1 x 25L makes 525L of ready to use product). Water based silicone emulsion contains no solvent or petroleum ingredients unlike conventional tyre dressings and can be safely used internally and externally, completely revitalising and protecting rubber, plastic and leather delivering a superior showroom finish. Free from all abrasives, bleach, petroleum, acids and any other hazardous ingredients. Dries completely transparent, smooth and does not sling up onto paintwork when vehicle in motion. Over spray is easily cleaned by simply wiping with a microfibre cloth and leaves an outstanding gloss shine on alloys that helps protect and prevent brake dust build up. 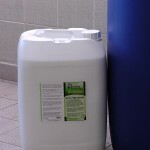 Available in ready to use 25L, 205L, 1000L containers. 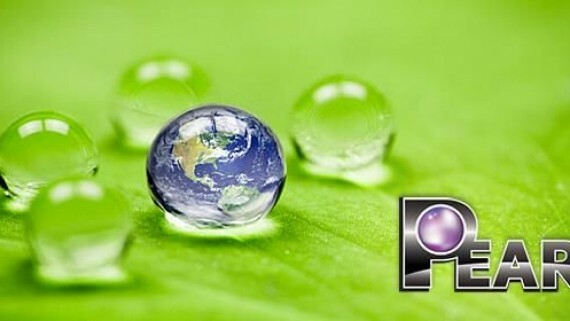 All Pearl® products are manufactured and supplied in complete accordance with industry leading BS EN ISO 9001:2008 and ISO 14001:2004 accredited standards, full compliance with the the latest European CLP and International directives, REACH regulations and fully supported with current MSDS’ documentation; ensuring the safe handling, storage, usage and distribution to all national and international export clients. Our solid infrastructure encompasses fully qualified chemists with vast experience and who are fully versed in environmental compliance laws utilising the very latest equipment and finest natural raw materials available in the world together with our NVQ trained customer services team who always deliver exemplary service levels. Investing in the very latest processing equipment and using only the very best ingredients ensures that Pearl® are able and committed to produce technologically advanced waterless automotive wash and polishing solutions for the EU and global markets as a whole, enabling customers and their companies to be at the very forefront of quality with industry leading products. Our registered trademarks and membership with the British Chamber of Commerce gives all our customers the total reassurance of the proactive lengths our organisation goes to ensure guaranteed continuous product quality and technical support together with exemplary service levels are maintained at all times to safeguard all our customers businesses.